A Eurasian species, rarely escaped from cultivation to moist ground and disturbed places. First collected in 1893 in Wayne Co. 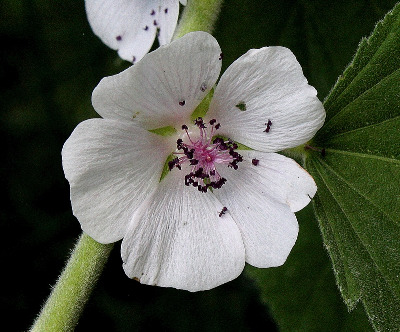 This plant has long been used medicinally, and its high mucilaginous content, especially in the roots, provided the original “marshmallow” before the days of synthetic substitutes. MICHIGAN FLORA ONLINE. A. A. Reznicek, E. G. Voss, & B. S. Walters. February 2011. University of Michigan. Web. 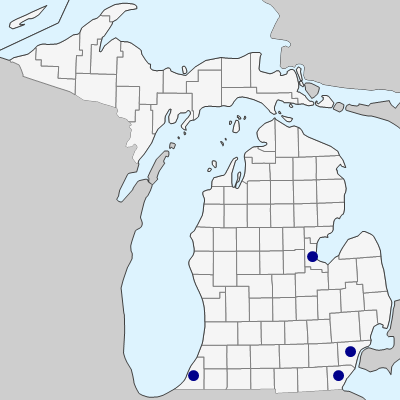 April 21, 2019. https://michiganflora.net/species.aspx?id=1668.